Gratitude affirmations will help you express gratitude for the very life that you are living. Gratitude is the foremost of all human emotions. If one considers the gamut of human emotions - happiness, sadness, euphoria, anger, dejection, gratitude, devotion – the one emotion that transcends all others is gratitude. In life, it is impossible to make a reciprocating gesture for everything that we receive – intangible or physical. Not only is it impossible to pay for everything that we receive, but most of the times mere payment does not fully compensate for what we have received. It is now a proven fact that different emotions produce different effects inside our body. A variety of chemicals and hormones are produced in the body in the normal course for various purposes. In addition, when a particular emotion is predominant, chemicals and hormones peculiar to that emotion are additionally produced. That is why if one is constantly angry, then damaging chemicals are produced in grater quantity and these ultimately harms the angry person. And this is true of all emotions. That is why it is said, “Be happy, be thankful, don’t worry”. When one is in a state of thankfulness (gratitude), the body is full of beneficial chemicals. Also, according to the law of attraction, one attracts only those things or situations in life that one inherently is. If one is resentful, one will attract people or situations that will increase one’s resentment. If one’s tendency is toward sadness, it is difficult to attract happy situations in life. On the other hand if you are full of gratitude for everything in life, then there is a greater likelihood of those things or situations that gave you a feeling of thankfulness being repeated in your life, and in abundance. Hence gratitude affirmations. Say the following gratitude affirmations daily. Repetition will mold your mind in a way that will be more receptive for things that produce gratitude. 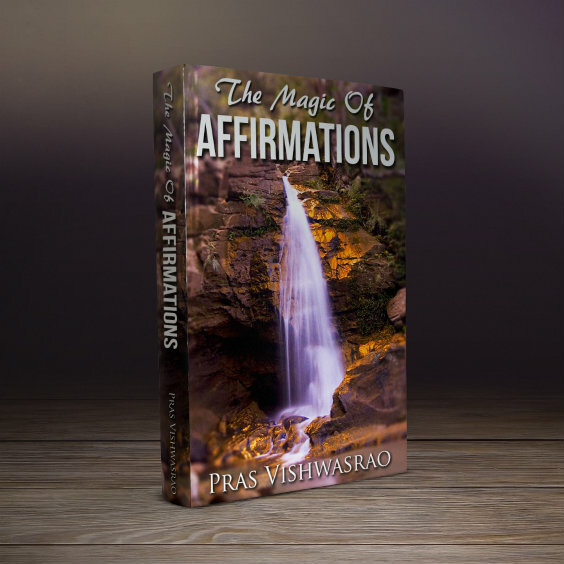 You can also prepare your own affirmations depending on the particular thing that you want to be thankful for.For example, for your job, success of your business, etc. I am thankful to the Universe for everything in my life. Every person that touches my life, enriches it. I am thankful to them. 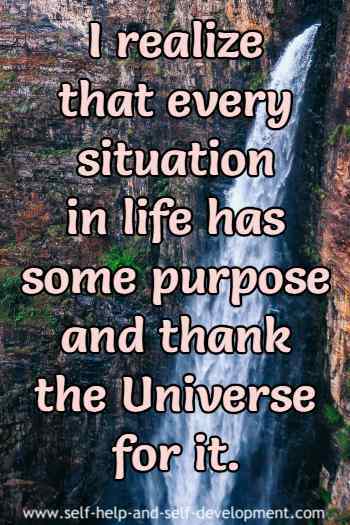 I realize that every situation in life has some purpose and thank the Universe for it. Thank You O Universe for all the money that I am receiving. I realize that whatever I eat and drink passes through many hands before reaching me. I am thankful to all these people. The air I breathe, the ground I walk on, are all a gift from the Universe/God. I express my gratitude for the same. 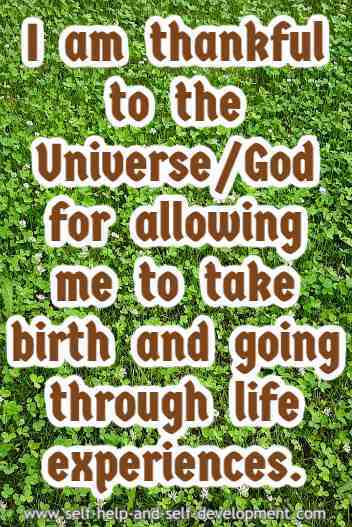 I am thankful to the Universe/God for allowing me to take birth and going through life experiences. 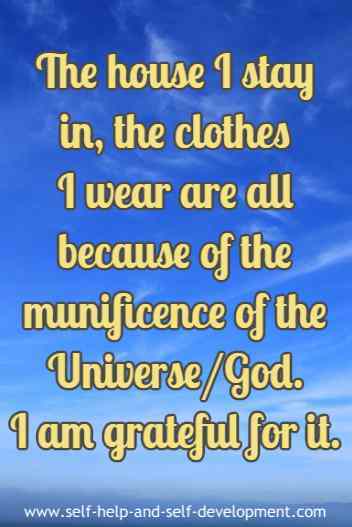 The house I stay in, the clothes I wear are all because of the munificence of the Universe/God. I am grateful for it. I am grateful for having a lovely and loving family. I am grateful for all the friends and colleagues in my life without whom my life would be incomplete. Thank You O Universe/God for the loving and loyal pets in my life. I am thankful for the wonderful nature around me and the chance to live in this incredible world. Every person on this planet enriches my life in some way or other. I am thankful to all. I am thankful to my body for allowing me to live a healthy and zestful life. I thank my parents for the kind of life that they have provided me with.